When you adopt an animal, you aren’t just bringing a brand new pet into the house. You are adopting a brand new family member who trusts you to provide him with all of the care and love that he needs to live a long and healthy life. Before you choose to adopt, it is important to do some research to find out what type of pet would be best suited for your lifestyle and budget. How much time do you have available to dedicate to caring for and spending time with this animal? Will you be able to afford to bring him in for a veterinary check-up, purchase the food that he requires and provide all of the requirements he needs to live safely and comfortably in your home? Once you choose the right pet that will match up with your personality and lifestyle, it’s time to start your pet off with the best of care at your local veterinary clinic in Dartmouth. Adopting a pet is a huge responsibility so you really need to know what your pet needs and how you will go about providing it before you even bring him home. Vet care for cats and dogs is different than what is required for bunnies, Guinea pigs and other types of pets. If you have never had one of these animals as a pet, it’s important to do some research on what they will need. You don’t want to adopt a new pet – or rescue an animal from a shelter – only to find out that you are not a good match. Pet adoption should be for the life of the pet, not something you take on lightly without any consideration for the well-being of the animal. Just in case you haven’t considered all of the angles, here are some things that you need to consider before you adopt a pet. Whether you are getting a cat or a dog, a hamster or even a goldfish, it is important to really think about it and not just adopt based on a spur of the moment decision because you saw something cute in a store. Can you legally own the type of pet you are considering? Not only are there restrictions on some exotic pets, but there are also breed legislation in some areas against particular types of dogs. In addition, there are also laws against outdoor “free range” cats in some areas as well, due to issues with feral cat communities. How much time can you spend with the pet? If you are just adopting a pet because it’s “cool”, but you don’t have a lot of time to actually spend caring for and providing attention to an animal, you might be better off getting a virtual pet or caring for these animals by donating money to a rescue foundation instead.Make sure you consider daily exercise, feeding, cleaning, care and even trips to the Dartmouth animal hospital for a veterinary check-up. How will your family members or roommates react to the pet? Make sure you consider everyone in your home and whether this animal is a good fit for everyone in the household. Also consider pet allergies, as many people cannot live with a cat or dog due to allergic reactions. Birds and small pocket pets can also cause allergies as well in some people, so make sure to discuss it with everyone. Can you afford to care for this pet? Once again, vet care for cats and dogs, as well as birds, pocket pets, Guinea pigs and bunnies can be quite expensive, depending on the issues or illnesses that befall your pet. Will you be able to bring them in for a regular check-up to the veterinary clinic in Dartmouth and afford any emergency services that might occur? Can you afford the special pet food required by your pet, as well as any habitat enclosures, bedding and other items required for proper care? When you bring a new animal into your home, it is important to start things off right. Ask the person that you adopt the pet from what type of food your pet has been eating to ensure that you feed the same diet to eliminate stomach issues due to a quick change of diet on top of a change of environment. Schedule a veterinary check-up to start a relationship with your local Dartmouth animal hospital. While some pets might not require vaccinations, others will need to have rabies and other species specific care right away. Vet care for cats and dogs should include a well-check immediately following adoption, especially if you have other pets in the home, to ensure that they don’t bring parasites or illnesses into your house that could affect another animal. Give your new pet time to adjust to the new surroundings. An increase or decrease in noise compared to what the animal is used to, as well as a change in routine, the people and the set-up of your home – it can all be quite overwhelming. Give your pet a few weeks to get used to your home and take the time to introduce your new pet to your existing pets so they can get used to each other before just being left to play together alone. 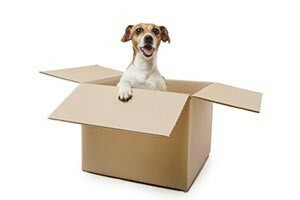 You may need to keep some pets separated for a few days until they are able to adjust. If you are interested in bringing your pet in for a new pet check-up at our veterinary clinic in Dartmouth, just give us a call at 508-996-3731. Our team of experienced and highly trained veterinarians and staff can help you with all of your needs regarding vet care for cats and dogs, as well as a variety of other exotic pets. Contact our local Dartmouth animal hospital today with any questions about our services or for directions to our facility.